How To Charge Solar Lights Without Sun? How to charge solar lights without sun? The answer to this question is important since the weather can greatly affect the performance of solar lights. The truth is you don’t need direct sun light to charge your solar lights, but its the most effective and cost-effective way to do so. Since this question has been asked a lot recently we thought it would be a good idea to write an article on the subject. We recommend reading all of the content below to get a better understanding of solar lights, how they work, and how you can charge them effectively. A solar light is a device that captures the sun’s energy, stores it in a battery, and then convert that energy into light through LEDs. The brightness of these lights and working time is determined by the above components. In most cases the larger the solar panel and battery, the more power the light will have to use. Solar lights are very passive and ideal for anyone who wants to light their property without installing wires. They can be setup in less than a minute and work for years without any issue. In addition they use eco-friendly energy which helps the environment. As we mentioned above solar lights use a combination of a few components to work. These components all have their own purpose and work together to generate light effortlessly. In general this setup is very similar to a solar generator, but instead of powering devices you’re powering LED lights. The process first begins with the solar panels on top of the light. These panels otherwise known as photovoltaic panels, work by allowing photons to knock electrons free, creating a flow of electricity. This process is completely passive and doesn’t make any noise. From here the energy is sent to the battery where the energy can be stored. The amount of power the battery stores is determined by how large its capacity is. In most cases batteries around 1,000 mAh are sufficient enough to successfully power the light. From here the light uses a sensor to detect when daylight is no longer present. When the sun stops shining the light turns on and uses the energy stored inside the internal battery. The light continues to use this energy until daylight is detected again or until the battery runs out of energy. Overall this process is very passive and simple. You get the best results when you place the lights in areas that get direct sunlight. This allows the solar panel to generate more energy and fully charge the battery. Now that we know how these devices work you might be wondering if there is a way to charge them without direct sunlight. The simple truth is that you might need to install them in an area that doesn’t get good sunlight. Does this mean they won’t work and that you shouldn’t buy them? The answer to this is yes you can charge them without direct sunlight, but it can be very inefficient and costly. Down below we discuss each avenue in which you can charge them without direct sunlight. While direct sunlight is the best way to charge solar lights, they don’t require them. The simple truth is that solar panels still convert energy when in cloudy or shaded areas. This is because daylight is still present and can be used to generate energy. So even though it might look like no light is coming above, there still is a lot of light that reaches the earth on cloudy days. This allows your panels to work in cloudy conditions. The same is true when in shade. There isn’t direct sunlight but there is still daylight present. It should be noted that charging your lights in cloudy and shaded areas is very inefficient. While they can still generate energy, it will be a lot less than in direct sunlight. In fact its estimated that solar panels are 40% as efficient when in heavy clouds as they would in direct sunlight. Another avenue to charge a solar light with is with an incandescent light. A solar cell responds in the same way when exposed from light sourcing from an incandescent bulb. This is because a solar cell converts a range of light wavelengths. Both sunlight and incandescent light contain these essential wavelengths. A perfect example of technology already using this type of light is calculators and watches. Most of these gadgets have a small solar panel located on top of the device. The incandescent light indoors powers these devices so you can use them while in your class room or at home. 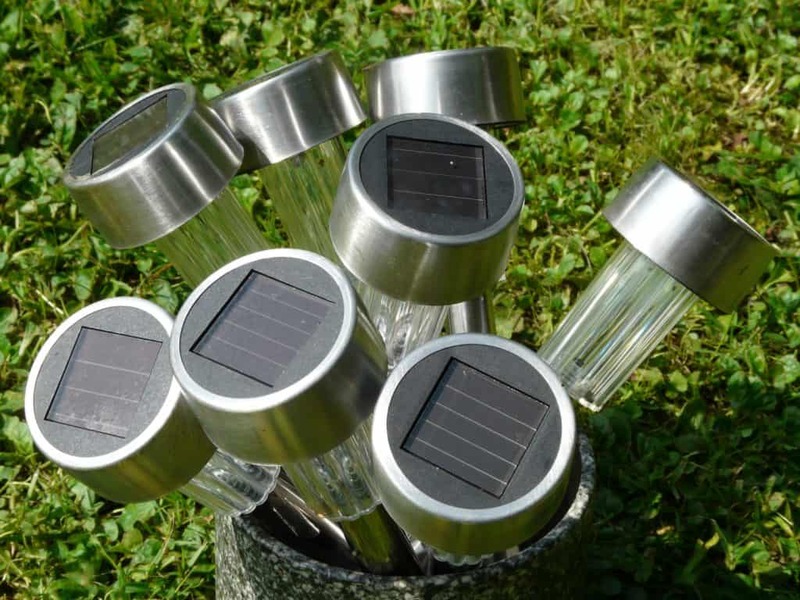 So if you want to use solar lights as a backup lights source you can store them inside and they will passively charge from the light within your home. Over time this charge will build up and allow you to use the light in emergency situations, even when not exposed to daylight. In the end you can charge solar lights without direct sunlight. They can use both daylight and some artificial light to charge their internal batteries. The only negative thing is that this can be very inefficient and cost-effective. To get the most out of your solar lights we recommend installing them in areas that get a lot of direct sunlight. This will allow the panel to generate as much energy possible and produce more power.